These fun boho style earrings feature pretty faceted peridot gemstones. 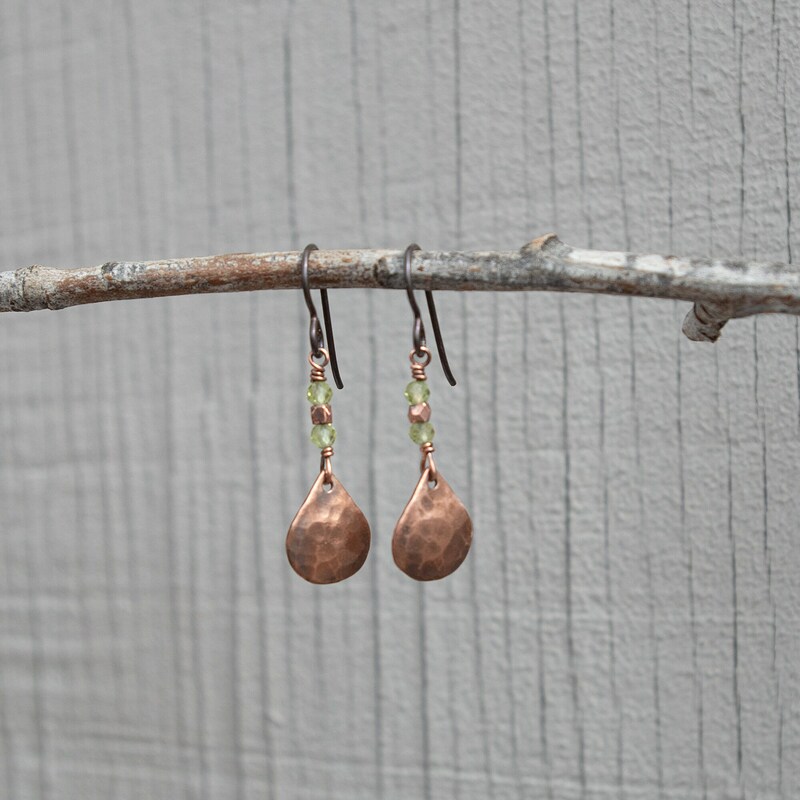 The green of the 3mm peridot gemstones contrast nicely with the hammered copper teardrops in these earrings. 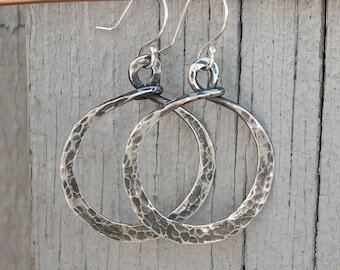 I have given each teardrop a slight dome shape and patina to enhance the hammered texture. 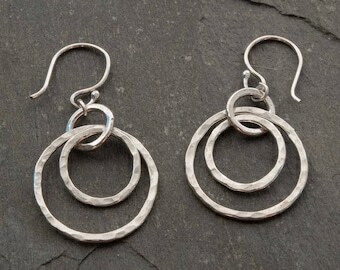 These earrings go nicely with the hypo-allergenic niobium ear wires which are shown in the photos. 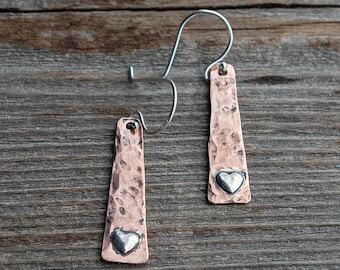 You may choose your preferred ear wire upon checkout. 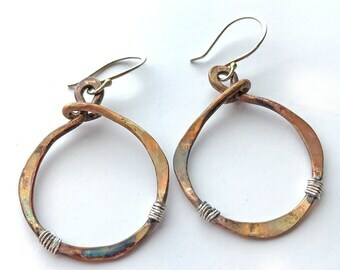 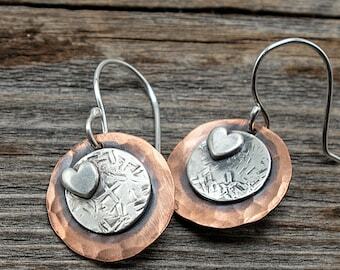 These earrings measure approximately 1 3/8" long with a niobium ear wire (ear wire choice will vary length). 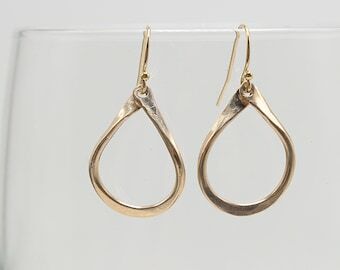 The teardrop measures 3/8" at the widest bottom section and the height is 1/2". 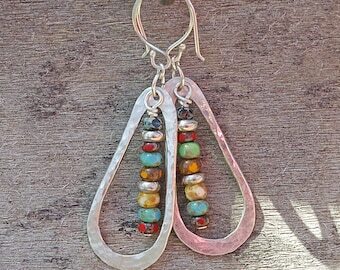 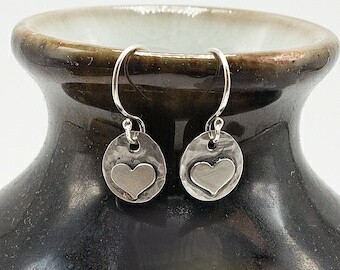 These earrings are small and very lightweight.